We have an opening for Ph.D. student to join our research group. Students with a strong background in the areas of fluid mechanics and computational modeling and simulation are encouraged to apply. For interested applicants, please send your CV and transcript to Dr. Park at jaesung.park[at]unl[dot]edu. For undergraduates who are interested in doing research on computational fluid dynamics, please contact Dr. Park for further discussion about research topics. Our group strongly supports the involvement of undergraduates in graduate-level research for their future endeavors. 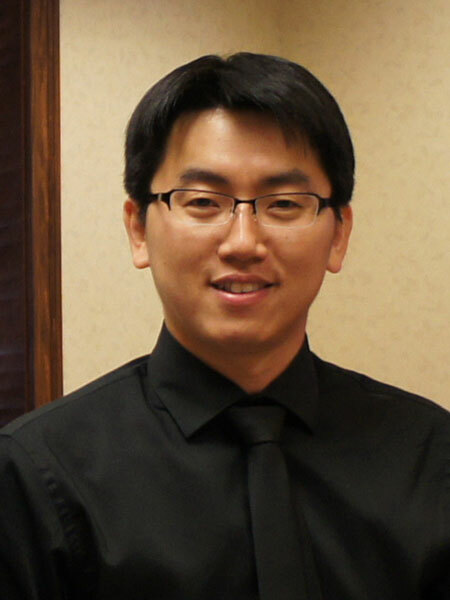 Dr. Park joined the faculty of the Department of Mechanical and Material Engineering at UNL in 2017. Prior to coming to UNL, he worked as a postdoctoral associate in the Department of Chemical and Biological Engineering at the University of Wisconsin-Madison. His research interests encompass a wide range of fluid mechanics, from low Reynolds number flows to high Reynolds number flows, focusing on complex fluids, colloidal suspensions, electrokinetics, and turbulent flow. Most of his research centers around techniques for energy-saving engineering and nanotechnology. He develops advanced computational algorithms to investigate various problems in fluid mechanics. His publications include articles in such academic journals as Journal of Fluid Mechanics, Physical Review E, Physcial Review Fluids, Soft Matter, and others. “Low-drag events in transitional wall-bounded turbulence,” Richard D. Whalley, Jae Sung Park, Anubhav Kushwaha, David J.C. Dennis, Michael D. Graham & Robert J. Poole, Phys. Rev. Fluids (accepted). "Low-dimensional representations of exact coherent states of the Navier-Stokes equations from the resolvent model of wall turbulence,” Ati S. Sharma, Rashad Moarref, Beverly J. McKeon, Jae Sung Park, Michael D. Graham & Ashley P. Willis, Phys. Rev. E 93 021102 (2016). “Exact coherent states and connections to turbulent dynamics in minimal channel flow,” Jae Sung Park & Michael D. Graham, J. Fluid Mech., 782 430-454 (2015). “Direct numerical simulations of electrophoretic deposition of charged colloidal suspensions,” Jae Sung Park & David Saintillan, Key Eng. Mater., 507 47 (2012). “From diffusive motion to local aggregation: Effect of surface contamination in dipolophoresis,” Jae Sung Park & David Saintillan, Soft Matter, 7 10720 (2011). “Electric-field-induced ordering and pattern formation in colloidal suspensions,” Jae Sung Park & David Saintillan, Phys. Rev. E, 83 041409 (2011). “Dipolophoresis in large-scale suspensions of ideally polarizable spheres,” Jae Sung Park & David Saintillan, J. Fluid Mech., 662 66-90 (2010). “A run-aroundheatexchangersystemtoimprovetheenergyefficiencyofahomeapplianceusing hot water,” Jae Sung Park & Anthony M. Jacobi, Appl. Therm. Eng., 29 3110-3117 (2009).